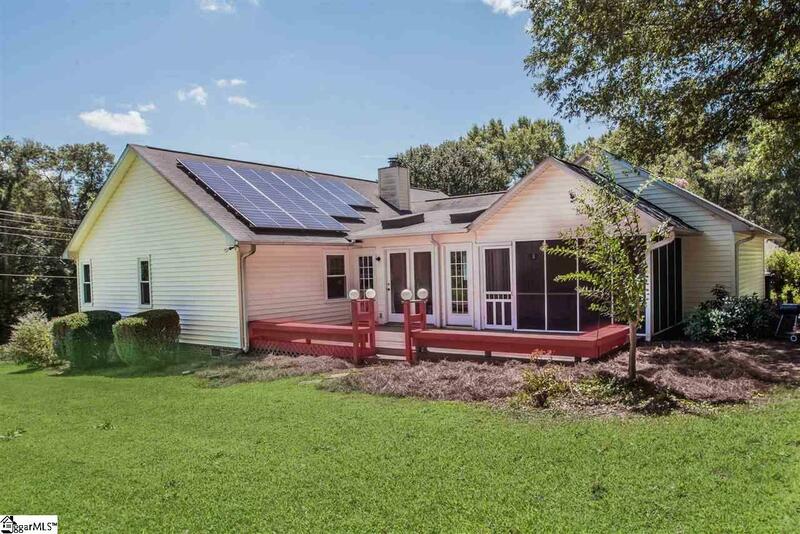 This is your chance to own a solar powered home! 100 Patriot Court sits on a nearly half-acre, corner lot in the well-established Colony Woods subdivision on a cul-de-sac street. Great your guests in the proper foyer with board and batten walls and wood flooring. Moving to the spacious living room, youll love the open and airy layout thanks to the vaulted ceiling with wood trim and a bright picture window. In the winter, cozy up by the brick-hearth, wood-burning fireplace with a good book. The dining room is off the living room, making a perfect flow for meal times big and small! Laminate wood flooring is throughout the dining room and kitchen. The kitchen is connected to the dining room via a breakfast bar. The kitchen has lot of cabinet and counter space for your kitchen ware, cooking gadgets, and more. The kitchen features a new dishwasher and new oven with flat top stove. 100 Patriot Court comes with the refrigerator too! The laundry room, yes, room, is at the back of the kitchen with lots of shelving for extra storage. The hallway leads to the bedrooms and bathrooms. The master bedroom suite is at the back of the house for peace and privacy. The master bedroom features two large, walk-in style closets and the master bathroom. The secondary bedrooms are spacious with large closets. The second bathroom is across from the secondary bedrooms. This home does feature even more space! Going back to the opposite side of the house, youll find the sunroom, perfect for a play space, hobby room, or den! The sunroom is carpeted but has white tile flooring underneath. 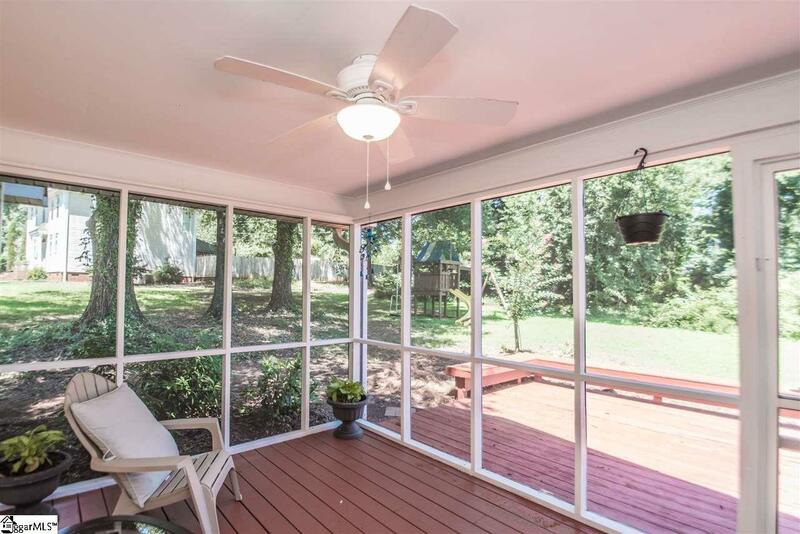 Off the sunroom, take your morning coffee while sitting on the screened porch. You may even see a bunny or deer! The decking of the screened porch continues around the outside of the sunroom. 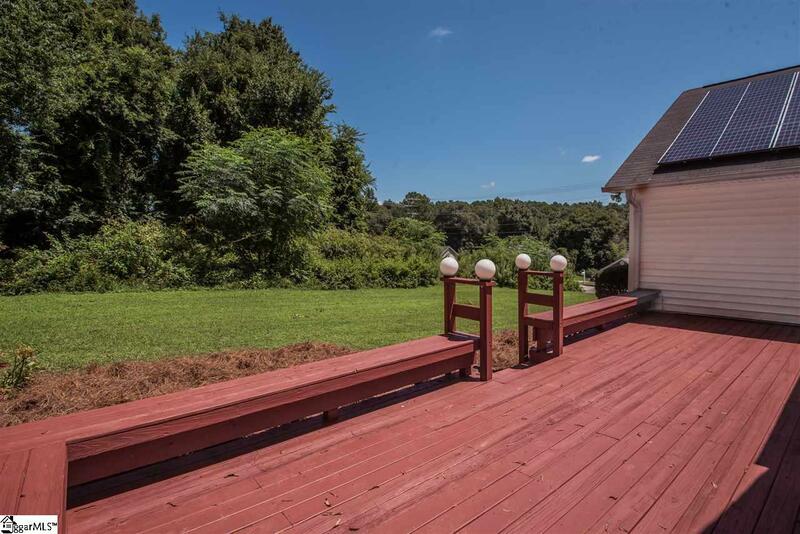 The large deck has bulit-in benches and steps leading to the yard. You can grill, relax, or entertain on the deck almost anytime of year! 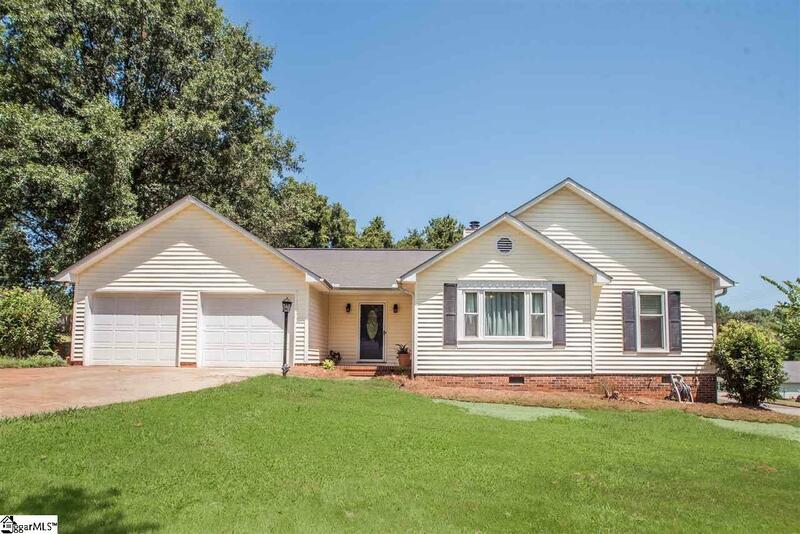 This 3 bedroom, 2 bathroom home with attached, 2 car garage has over 1600 square feet. This home runs on solar energy - not electricity! The solar energy agreement is not only earth-friendly but allows you to have a lower power bill now and in the future! The panels are insured and maintained by Sunrun - not you! 100 Patriot Court an excellent location off Highway 81. Less than 5 minutes to Anderson University and 10 minutes to dinner in Downtown Anderson or shopping on Clemson Blvd. Schools: Calhoun Elementary, Glenview Middle, and T.L. Hanna High. Listing provided courtesy of Autumn Bible of Modern Real Estate Consultants.